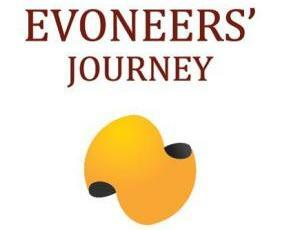 Ecolise > NEWS > Welcome to the Evoneers’ Journey! (23 May 2017) – At the crossroads of entrepreneurship, personal empowerment and social innovation, the SIRCle project has created its first ripples across Europe. We take stock of the achievements of this pioneering initiative. The Erasmus+ SIRCle project seeks to address one of the most pressing needs of our time, namely, how to reconcile a desire to reduce our impact on the planet through sustainable initiatives and social enterprises with our capacity to make a living. SIRCle, which stands for Social Innovation for Resilient Communities, started in 2014 and is coming to completion in August this year. As AEIDL prepares to host the partners of the project and key stakeholders for the closing conference in Brussels, in June, we take stock of the achievements of this pioneering initiative. The project entailed the development of a training curriculum, known as the “Evoneers’ Journey”, which allows participants to acquire the skills needed to set up a social enterprise, or to transform an existing workplace, in a way that reflects their unique sense of purpose and contributes to the resilience of their community. AEIDL is now looking at possibilities of offering similar training in the future in Belgium, and is giving visibility to the Journey at public events such as fairs and the upcoming Forum Demain, which will be held in Brussels in September.